The marker and statue are located at the quad at St. Lawrence Seminary High School, located at 301 Church Street, Mt. Calvary, Wisconsin 53057. Saint Lawrence of Brindisi, O.F.M. Cap. 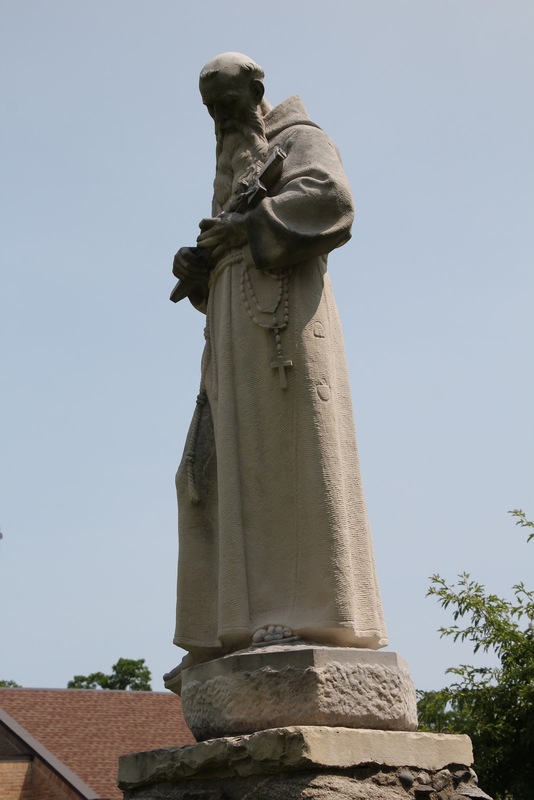 (22 July 1559 – 22 July 1619), born Giulio Cesare Russo, was a Roman Catholic priest and a theologian as well as a member of the Order of Friars Minor Capuchin. He was beatified on 1 June 1783 and was canonized as a saint on 8 December 1881. He was named a Doctor of the Church in 1959. The marker is located at St. Lawrence Seminary. The marker and statue are located in Mt. Calvary, Wisconsin.